Elite criminal defense law firm that dedicated to the passionate, tireless and tenacious representation of those accused of committing felony and misdemeanor offenses in Bloomfield Hills, Michigan. The Bloomfield Hills Criminal Defense Attorneys with LEWIS & DICKSTEIN, P.L.L.C. appear regularly in the 48th Judicial District Court which is located on 4280 Telegraph Road, just north of Long Lake Road in Bloomfield Hills, Michigan. If you are looking for the best Bloomfield Hills criminal lawyer for you, you need to take a look at LEWIS & DICKSTEIN, P.L.L.C. We offer free consultations to any one charged with a felony or misdemeanor in the 48th District Court. When there is no room for errors or false promises, we can help you. There are many criminal defense lawyers in Bloomfield Hills. There are very few criminal defense law firms that are designed, built, organized and operate for the sole purpose of defending misdemeanor and felony charges like those prosecuted in Bloomfield Hills, Michigan. Each and every Bloomfield Hills Criminal Defense Attorney with LEWIS & DICKSTEIN, P.L.L.C. has decades of experience successfully protecting and defending clients in the 48th District Court. Many law firms have combinations of criminal defense lawyers and civil attorneys but they designed for the sole purpose of maximizing their profits. General practice firms and attorneys are less concerned about taking care of their criminal defense clients, are not specialized and do not have the expertise to consistently achieve the best possible outcome. LEWIS & DICKSTEIN, P.L.L.C. is a quintessential Bloomfield Hills criminal defense law firm. We do nothing besides criminal defense and criminal defense related cases. Each Bloomfield Hills Criminal Defense Attorney with LEWIS & DICKSTEIN, P.L.L.C. is dedicated, passionate and zealous when fighting for his or her clients. On felony and misdemeanor cases, we will leave no stone unturned when developing a winning strategy to get charges dismissed, achieve an acquittal at trial, obtain the best possible plea bargain, or the lowest possible sentence. Though preparation, creativity and credible allocution, we have convinced the judges in this court order probation sentences even when other lawyers believed that jail was inevitable. Why you should hire LEWIS & DICKSTEIN, P.L.L.C. Judges Diane D’Agostini, Marc Barron and Kimberly Small have reputations for being tough on any alcohol related offenses including DUI-OWI (drunk driving), assault, possession of marijuana, weapons charges, driving on a suspended license (DWLS) and minor in possession of alcohol (MIP). Domestic violence cases also get special attention in this court and require particularly aggressive and effective representation. Although the judges in this court are tough, we will not back down from any judge or prosecutor and we will fight to get our clients the best possible outcome in their case. 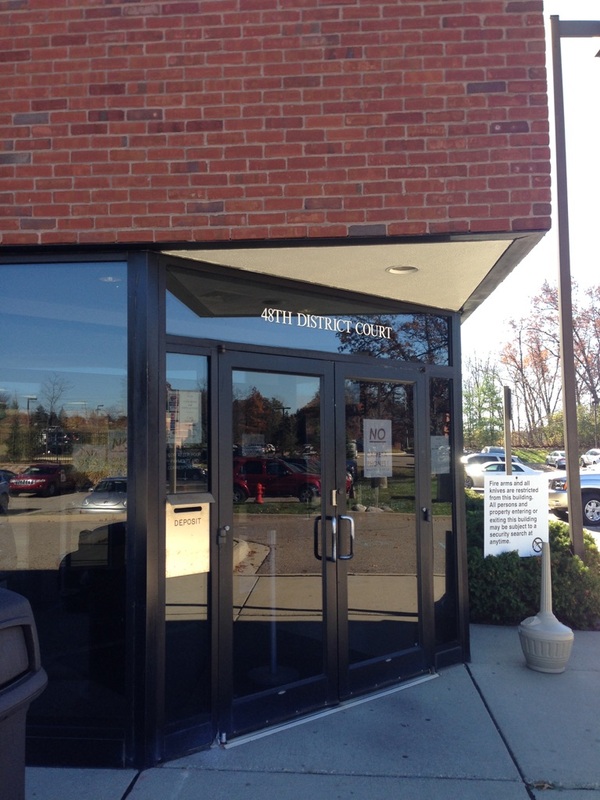 Technical probation violations are often overlooked in other courts, but the Judges in Bloomfield Hills, Michigan will order a violation of probation hearing every time. The 48th District Court handles cases from seven communities including, the Charter Township of Bloomfield, Charter Township of West Bloomfield, City of Birmingham, City of Bloomfield Hills, City of Keego Harbor, City of Orchard Lake Village and the City of Sylvan Lake. 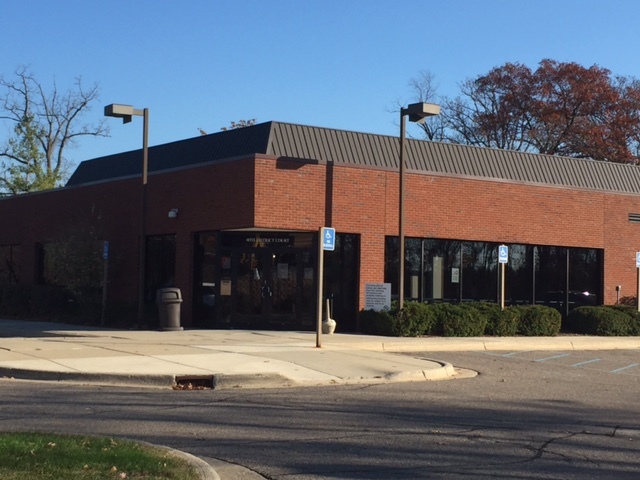 The Bloomfield Hills District Court handles misdemeanors, high court misdemeanors, violations of probation and felony preliminary examinations. All felonies prosecuted in the 48th District Court start at the district court level with a hearing called a preliminary examination. When we are retained on a felony or misdemeanor case in Bloomfield Hills, our highest priority is trying to find a way to get the felony charge dismissed. We offer free consultations for anyone charged with a felony, a misdemeanor, a traffic violation or a violation of probation in the 48th Judicial District Court. Please fill out a Request for Assistance Form or call (248) 263-6800 for a free consultation. We will do everything possible to find a way to help you. Don’t be sold out by the lowest bidder, hire a Bloomfield Hills Criminal Defense Attorney who will do whatever is necessary to get you the best possible outcome.